7 туриста са резервирали днес. Имате въпрос към Nagoya Inn? Разположен в чудесния район Куах, Nagoya Inn заема удобно място в разглеждане на забележителности, ресторанти, пазаруване център на Лангкави. Само на 6.6 km от градския център- това стратегическото местоположение на хотела гарантира на гостите си бърз и лесен начин за достигане до интересуващите ги точки на града. С удобното си местоположение хотелът предлага лесен достъп до всички градски забележителности, които задължително трябва да се видят. Nagoya Inn също така предлага много съоръжения за обогатяване на Вашия престой в Лангкави. Най-важните съоръженията на хотела са безплатен WiFi достъп във всички стаи, 24-часова рецепция, съоръжения за инвалиди, експресно настаняване/напускане, съхраняване на багаж. Дизайнът на хотела е съобразен с най-високите изисквания за удобство и комфорт, осигурявани от съоръжения достъпни в някои стаи като телевизор с плосък екран, достъп до интернет (безжичен), безжичен интернет достъп (безплатен), стаи за непушачи, климатик. Освен това в хотела можете да се възползвате от множество предложения за приятно прекарване на свободното време. Открийте интригуващата комбинация от професионално обслужване и широка гама удобства в Nagoya Inn. Закуската за деца под 4 годишна възраст е безплатна. Деца на възраст 4-9 години ще бъдат таксувани 5 MYR за закуска на ден. Деца на възраст 10 и повече години се смятат за възрастни. 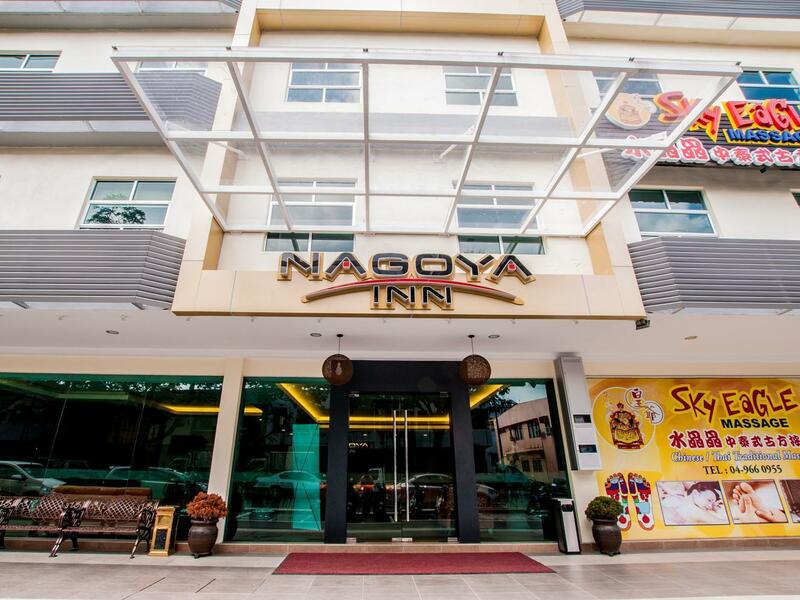 The property offers a 10% discount at Nagoya Seafood and Nagoya Paradise. Отседнахме 10 вечер/и в март 2015 г.
Не выгодно если едишь отдыхать. Т.к. приходится разъезжать на такси. Вокруг ничего кроме магазина. Пляжа и в помине нет. Убираются каждый день но не моют полы. для людей с детьми это не удобно, грязно. Еды нормальной нет, одни тайские рестораны. Район сам по себе не для туристов. We had a great stay. Family room is spacious. Breakfast was acceptable. Air-condition was well functioning during our stay where it is very important to us taking into account the hot climate in Langkawi. Water dispenser was placed at the hotel lobby. Convenience store is just opposite of the hotel. Quite far from Cenang beach and airport but near to Kuah ferry pier and most of popular duty free outlets in Langkawi. Overall it was a pleasant stay at this hotel and definitely will recommend to others. This hotel was decent for the price. It is located in Kuah town surrounded by restaurants. There are couple of bars/clubs around the area which operate till early morning. If you are a light sleeper the sound from the bars nearby might keep you up. otherwise, it is a decent room for the price. this hotel not bad,location is good..triple room also feel big..just feel abit noisy when customer at corridor. Wifi very weak totally cannot connect. and my family complain breakfast not good,luckily outside have another restaurant can choose. Aircond at room 138 not well function and we sweating until morning. The room and bathroom was spacious and the hotel provide small restaurant if u hungry at night. Fried squid n prawn nestum was so delicious. must try!! Near to Langkawi Parade, steamboat/seafood restaurants, 24hr convenience shop, massage parlour, Thai restaurant, chinese food court, overall really lively at night, but quite and peaceful at daytime. Nice and clean room, asked for a bathroom bulb change and staff came straight away. Can improve on breakfast, I don't mind the selection, but the served food (fried beehoon and fried rice) was cold. we stayed for three nights with our three kids. Facilities were good. Hotel is clean. They change bed sheets everyday with neat and clean sheets. Kids enjoyed breakfast a lot. 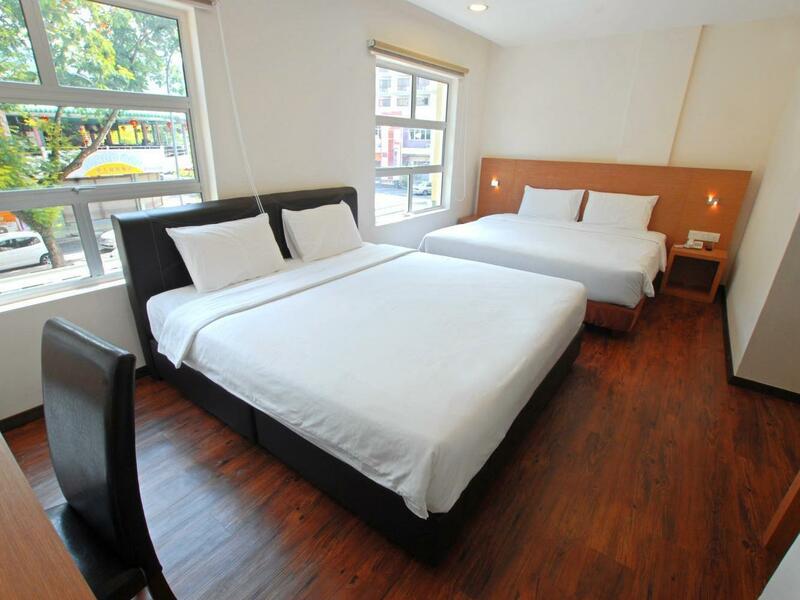 Location is bit away from main tourist attractions. overall we enjoyed our stay. Good location, at kuah town, surrounding by restaurants and duty free shop. Ambient car park, friendly staff. 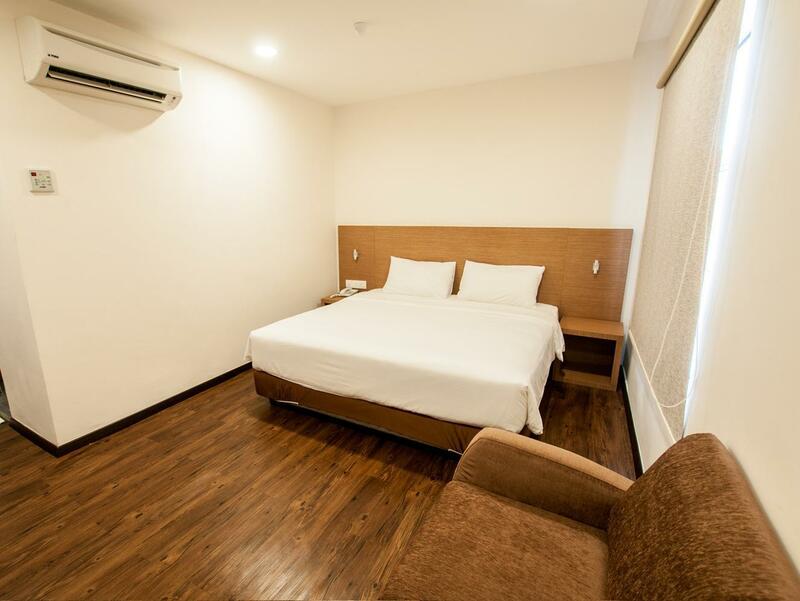 Room is wide and clean, however the aircond the dripping water at midnight and the wifi connection not stable, tends to disconnect at night frequently. Probably due to too much connection. Please improve wifi stability. Breakfast not much choice but overall taste OK. It is surprising the room rate included breakfast. Definitely the best deal in langkawi. A good hotel for business traveller & leisure. We go back to stay almost every month. 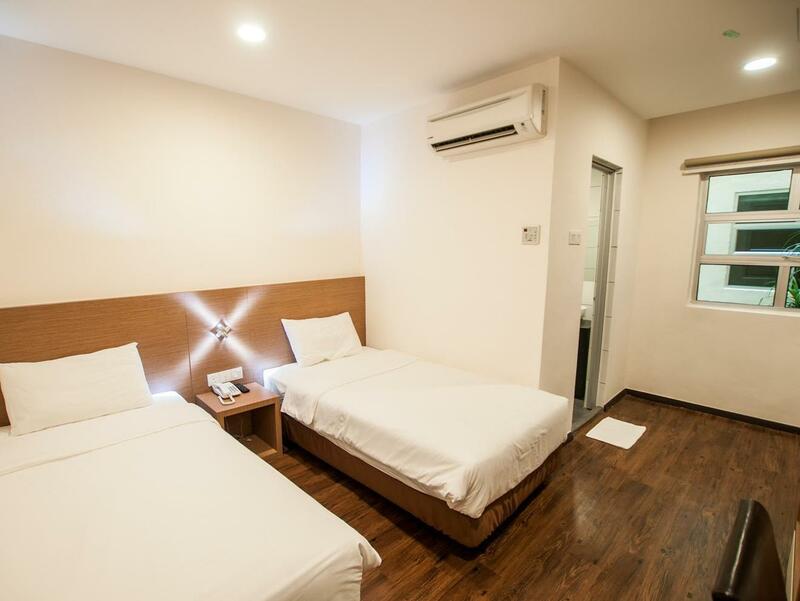 Convenient location as 24hours mini mart & restaurants are just nearby. They also provided breakfast & we can get set lunch at reasonable price at their restaurant which located just next door. Only cleanliness sometimes need to be improved. Staff are friendly & helpful. Booked family room for 2 nights. Walking distance to teo soon huat duty free and langkawi parade. Clean room with 2 king sized bed. The free buffet breakfast was ok. Nagoya paradise restaurant just opposite the hotel offers very nice thai food with reasonable price. Pleasant stay, will come back again. 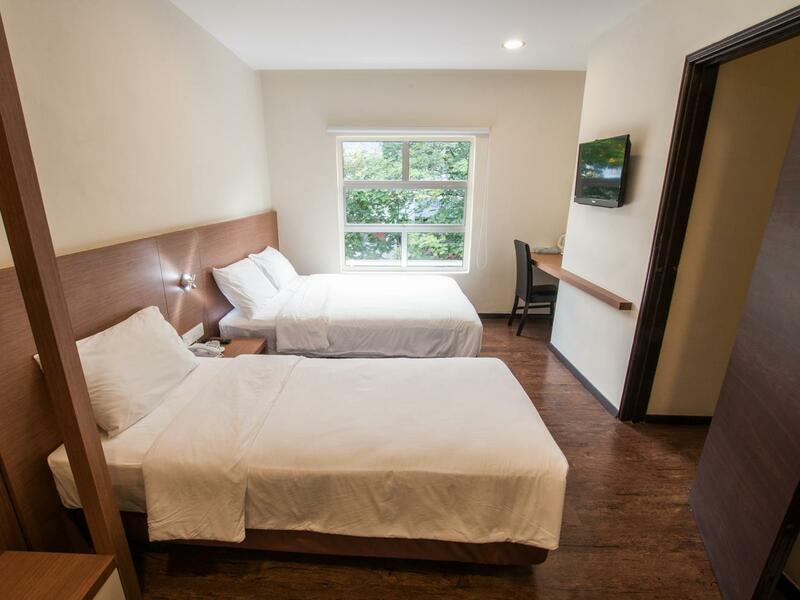 Very basic, for those who just want a place to crash for the night and don't care much for breakfast (coz there's not much to be desired for), and who don't mind using wet washrooms (coz shower and toilet are all in the same room, not partitioned). Cleanliness needs to be improved considerably. Cleaning crew is lazy - just put all our dirty cups in the sink and didn't wash, didn't replenish toilet paper, didn't change bath mat... Only highlight is it's right in front of a restaurant that offers RM20 bucket of beer. the hotel is very good, it's quite beacuse it's not on the main road, but there are a lot of food in front of the hotel, and everything is good for sleep after your journey in the daytime!